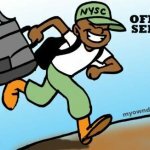 National Youth Service Corps (NYSC) Management has released the date for the orientation camping exercise for this year NYSC Batch B 2013 mobilization time table. According to the time table, the programme has already started now because the registration of foreign trained Nigerian graduate is on from April 8th till June 7th 2013, while Submission of Master list, Screening/Vetting by Mobilization Officers will kick start from April 29th to 6th of May 2013. 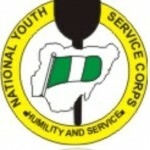 Sorting and Packaging of Call-up letters will begin from 11th to 17th June 2013, while the Delivery of Call-up letters to Institutions / NYSC Secretariats for prospective corps member to collect will be from 18th June, 2013 to 25th June, 2013. The main day for the beginning of the camping exercise programme will be starting on June 25th to 16th July, 2013. 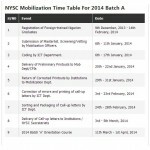 The rest programme of event date is as follows in the NYSC Batch B 2013 mobilization time table below. Wishing all prospective corps members happy and successful camping orientation exercise which will be hitch free of any gory incident. HAPPY CAMPING!!! 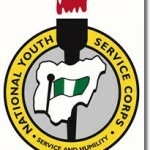 NYSC Call up letter for Batch A 2013 is Out; Have You Collected Your Posting Letter?